Address: 1490 Colts Neck Rd. IF YOU WANT YOUR OWN PRIVATE COUNTRY CLUB! You will LOVE this 5 bedroom 3 .5 bath house AND the two story 5 car garage with 2 full baths!! A large pool with pool house and private pond! Come see for yourself. Many extras! Address: 1559 Pine Level Dr. This amazing custom built all brick home has so much to enjoy, both inside and out. 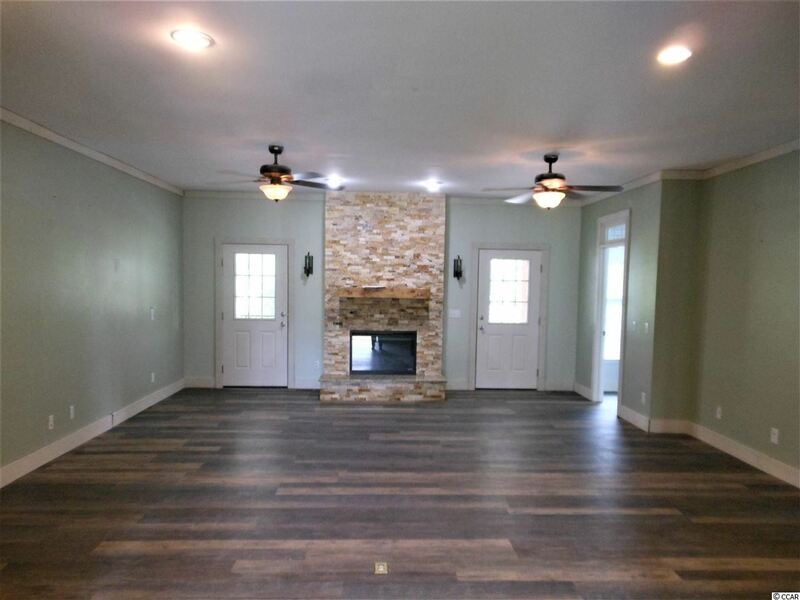 With over 4300 heated sqft, this 4 bedroom, 3.5 bathroom home is situated on 3.73 acres outside of the city limits with no HOA and no city taxes. The kitchen is updated with a gas range, stainless appliances, and granite counters. The eat in space is bright and open and flows to the outside deck. 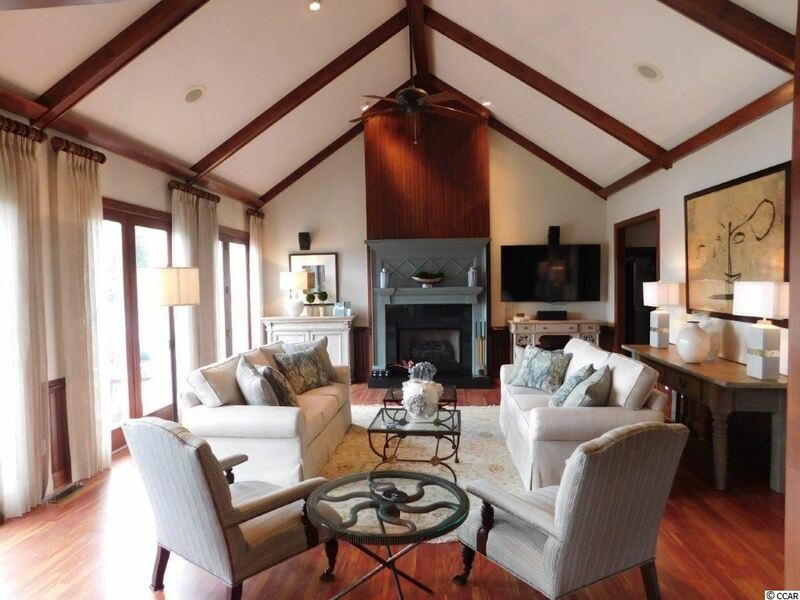 The master is on the main floor, while the other bedrooms, an office and the bonus room are all upstairs. All bedrooms have fans and spacious closets with built ins. There is hardwood downstairs, laminate upstairs, and tile in the wet areas. No carpet is such a great upgrade! The 19 x 25 pool in the back yard is the perfect spot to relax or have a party. The screened back porch and deck, plus the pool decking create your own oasis. There is a pool house with storage, a sprinkler system with a separate deep well. There is a 2 car garage plus an expansive driveway that provides plenty of room for your RV or boat! There's room here for everyone. If you love to play golf, youGÇÖre just 5 minutes to Diamondback Golf Course and 15 minutes to The Long Bay Golf Club. YouGÇÖre also only 30 minutes to popular shopping and dining destinations in North Myrtle Beach. **No damage or flooding from the hurricane. It's still move in ready! 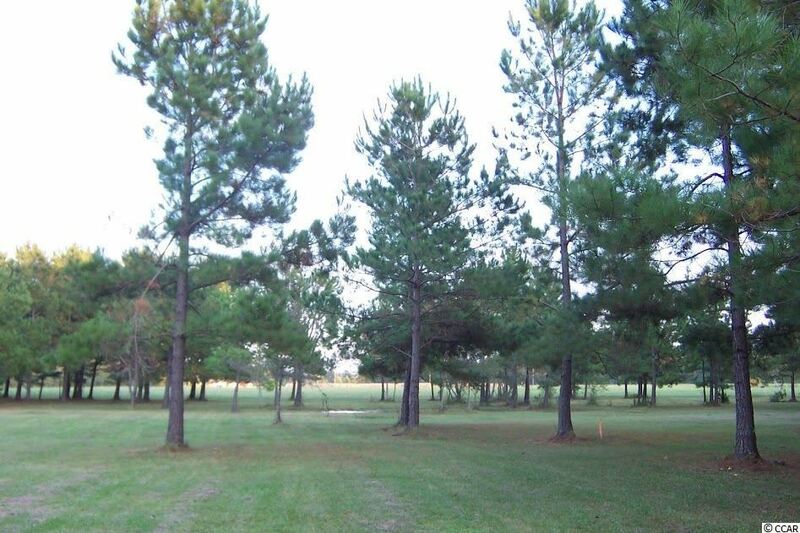 Nineteen acres of paradise with a great PDD zoning. 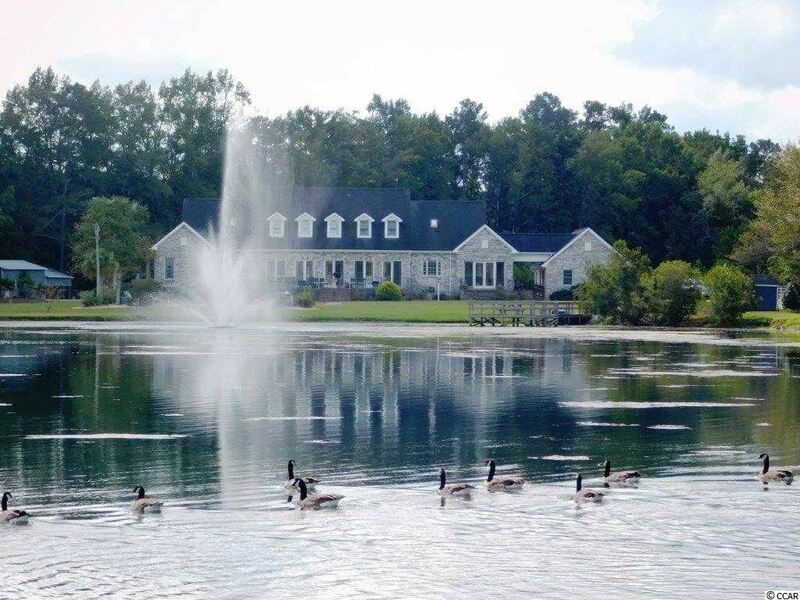 The most beautiful part of a retirement village concept is now available to builders, developers, and investors! The Senior Center (run by Horry County Council on Aging), Retirement Apartments, and Assisted Living facility are all recently completed and operating. 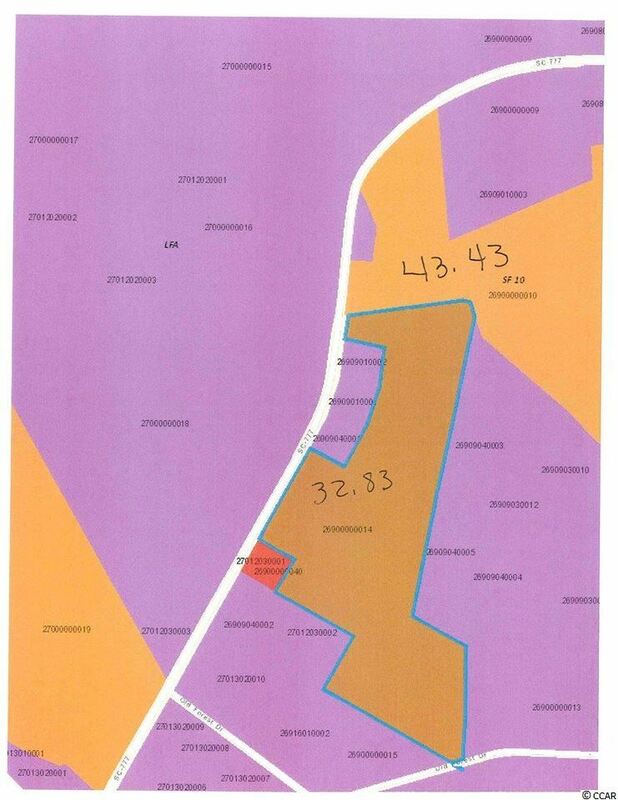 Current plans call for a series of attached homes for retirees, but other possibilities include single family, multi-family, veteransGÇÖ homes, nursing home, assisted living cluster homes, and independent living concepts, etc. FLEXIBILITY IS THE KEY IN THIS HIGHLY SUCCESSFUL PDD VILLAGE. 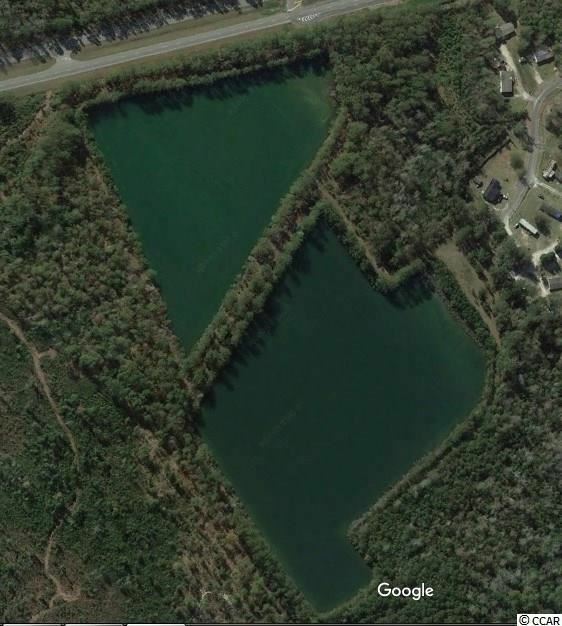 A portion of the property is encumbered by easements or pond area, but plenty of room for housing remains. Maps, plans, surveys, etc are available to qualified buyers. Co-listing agent is an officer in the selling entity). Address: 1500 Colts Neck Rd. Beautiful Farmhouse on an Equestrian Farm. 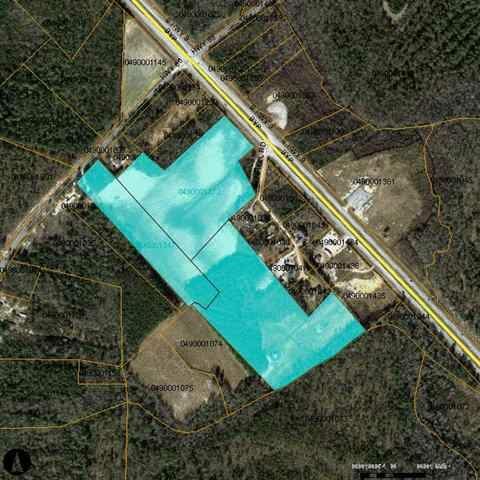 8.7 acres. The inviting tree lined driveway will take your breath away every time. Turn key 4 bedroom, 3 full and 1 half bath home. Gorgeous hardwood floors. 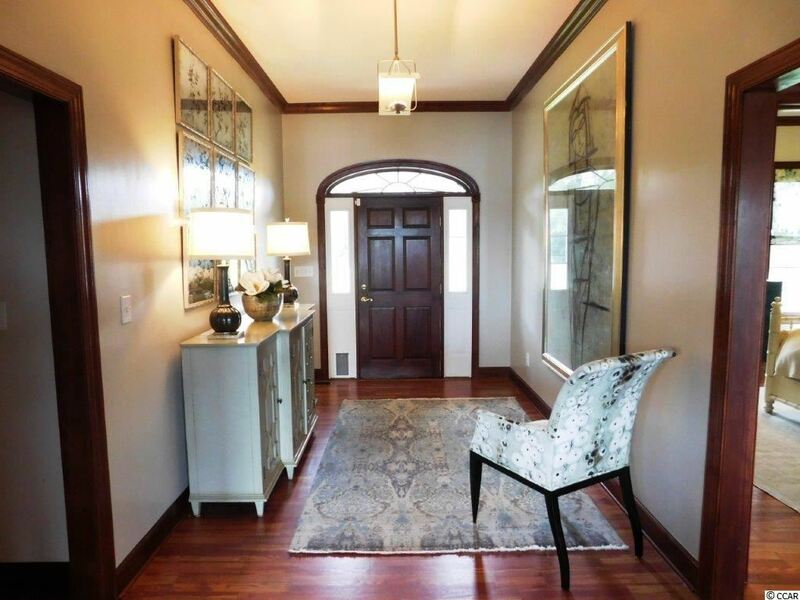 Beautiful woodwork trim through out the home. Eat in kitchen with a breakfast bar and great views. 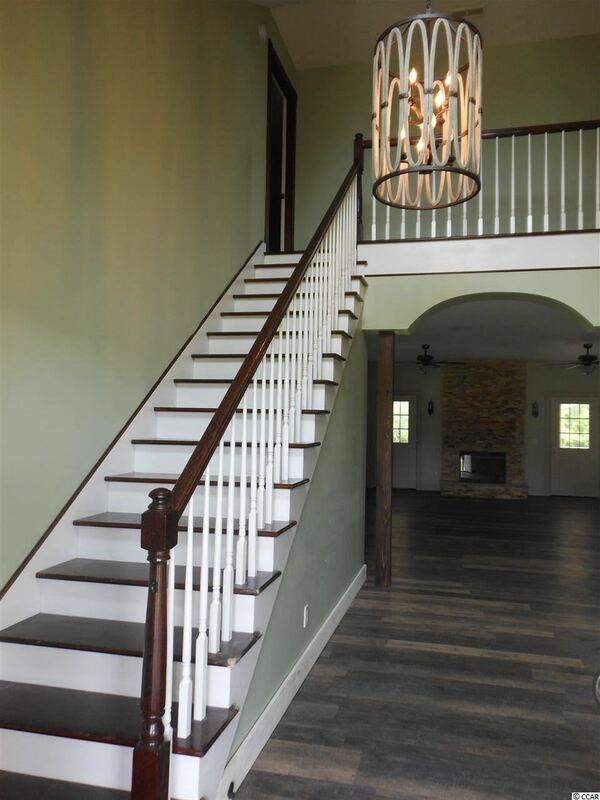 Vaulted 2 story living with a walkway overlooking the main floor. Cozy fireplace in the living room. Master bathroom has double sinks, large spa tub and a separate walk in shower. Master bedroom has his and her walk in closets and a door leading to the back deck. Office/library on main floor with a full bath. 2 bedrooms on the main floor 2 bedrooms up. Breathtaking views can be enjoyed inside the home and outside from the wrap around porch and the large full length deck on the back of the home. Home is light and bright. Home has tons of storage through out. Mud room has it's own entrance and a pocket door to the kitchen. Powder room off mud room has a beautiful pocket door. Home has a security system.The yard has a sprinkler system. 6 stall horse barn approx. 36 X 100 with 2 offices, 1 half bath, tack room, dressing area, and a storage area in the back of the barn. Large sliding doors front and back. Electrical hookups and water for the fields. Beautiful pastures with full size riding ring. Animal pens off the side of the barn. Great for chickens and other pets. Well pump house. 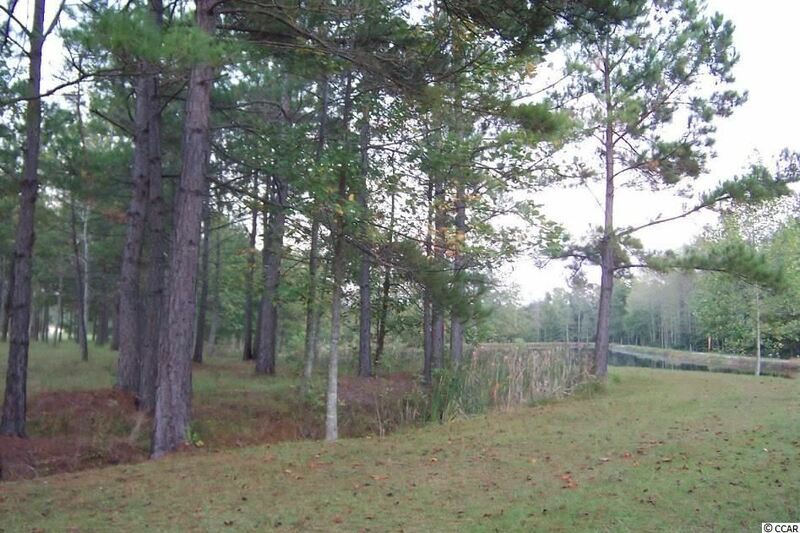 Property has 2 deeds, the cleared land on the right has access to public water. Fire hydrant at the fence line. A 20 minute drive to Myrtle Beach, shopping, entertainment, restaurants and all the Grand Strand has to offer. Gaze on the southern stars at night. Watch the wildlife roam. This is what dreams are made of. Address: 451 Holly View Ln. 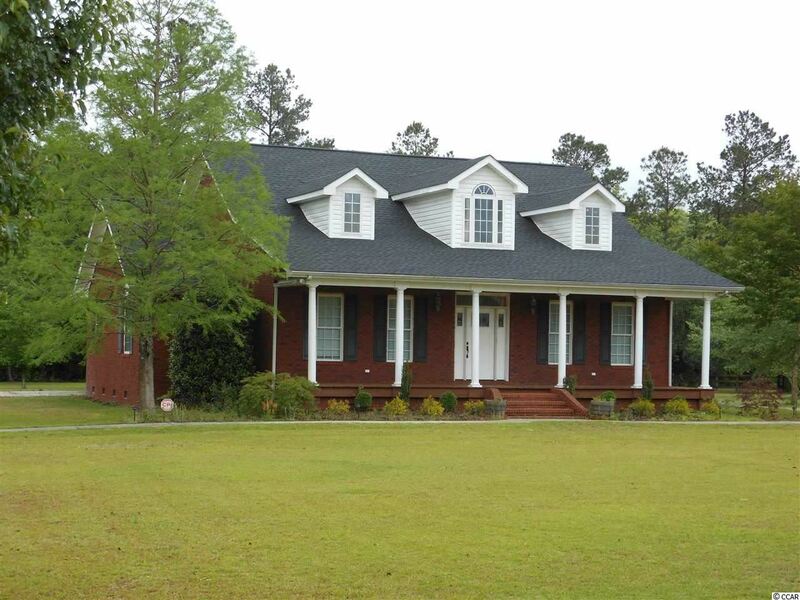 Beautiful Brick home located on 5+ acres of land, remodeling and upgrades done thru out the home and so welcoming. Circle driveway that winds around the back of the home under a carport. 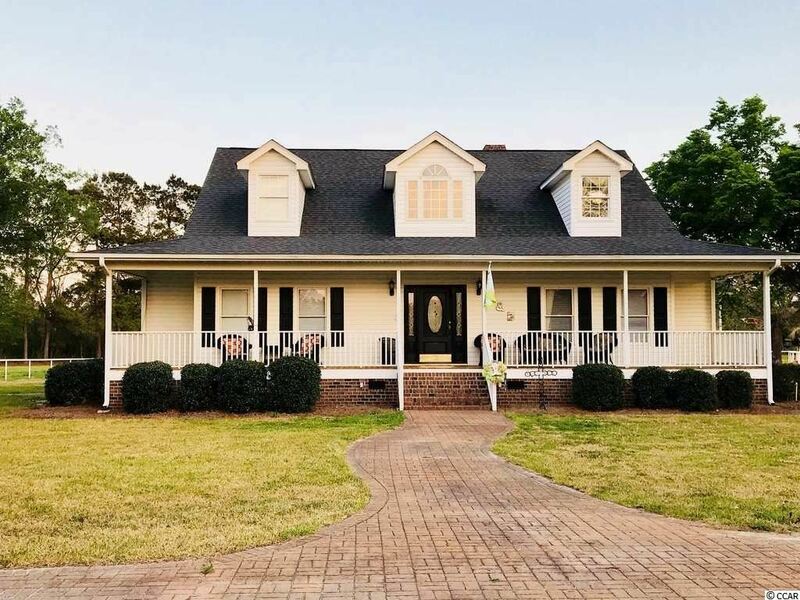 Large front porch brings you into a grand foyer which opens up to a Living room with tall ceilings, gorgeous fireplace with floating mantel doors on each side lead you out to a back porch, carport and a huge back yard bumped up against the wooded area of your land for privacy. Next to the living room is a bright sunny Carolina room or you could make it you den/library. Large master bedroom is located on the first floor which also features a lovely master bath with a walk-in closet, whirlpool tub and separate shower. A second bedroom is located on first floor with 2 other bedrooms with a connecting bathroom are upstairs, both bedrooms have walk in closets and one has a sitting area. Stairs and kitchen are equipped with farm door style child or pet gates. The kitchen is just a gorgeous as the rest of the home, featuring a large walk in pantry with glass pantry door, floating shelves, tile back splash, dining area, extra closet space and the kitchen island is a large slab of Walnut GÇô just beautiful. Extra floored storage in attic. A must see home. Detached 4 car garage has an attached mother-in-law suite or apartment.